Leon Bets is quite young company compared to the giants in the sports betting industry. Found just 8 years ago, in 2007, this small organisation managed to quickly climb the ladder of success and become a famous online bookmaker. It’s owned by Leon Gaming Ltd. and the headquarters are located in Belize City, Belize. This bookie received its licence from the Kahnawake Gaming Commision and the same organisation also regulates Leon Bets. Its online betting services are provided Europe and US player are strictly forbidden to join. 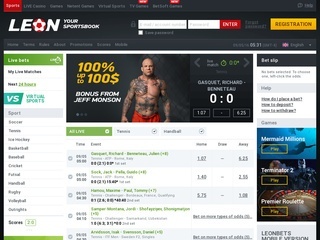 According to the website leonbets, the company is aiming for an excellent standard and quality of the sports betting experience, as well as quick and easy betting placement. Despite the fact that there is no support for Europe and US players the platform is still growing. You can be sure that in the upcoming years they will renew their license to allow players from more countries to join. All in all, Leon Bets is an interesting platform and below we’ll explain what it actually provides to the players. Here is some brief information about the betting platform. Leon Bets focuses mainly on sport events and offers extensive opportunities for sports betting enthusiasts. There are no other platforms, such as casino, poker or bingo. However, the markets offered are quite colourful and surely intriguing. The available sports are soccer, tennis, American football, volleyball, baseball, darts, basketball, martial arts, boxing, cricket, futsal, handball, motor racing, ice hockey, rugby, snooker and water polo. Other markets are not presented at this time, but the online bookie is surely planning to launch some in the future. This traditional bookmaker is an attractive choice for any recreational gambler, who loves sports betting. Leon Bets’ services are exclusively focused on sports, without any other distractions, which makes them an excellent option for the fans. They do offer a Casino but with only small games like Slots presented. Leon Bets offers a reliable mobile experience for player, who like to wager on the go. The platform is well designed and fairly popular among the online betting users. They also support live betting, but do not include live streaming of sport events. The online betting company offers great odds for its clients. The format is EU based and the overall betting margin is calculated to 6.3%. There are various betting types and varieties available for the players. Football betting options include numerous possibilities for the fans of the finest sport. Most of the opportunities include 1X2, under/over, draw no bet, Asian and standard handicap, first goal, correct score, half-time and half/full time, odds and evens, hat trick, red cards, clean sheet, goal scorers, substitutions, to qualify, card and card over or under, corners and winning margin. When it comes to bets combinations, every gambler is free to select from single or accumulator bet, which goes up to 10 sport events. System bets are also available. But let’s have a look on the limitations set by Leon Bets. The possible betting amount starts at $0.5 and its final value can be different, which mainly depends on the specific sport. There is no information about the maximum winning amount, but there should be one. 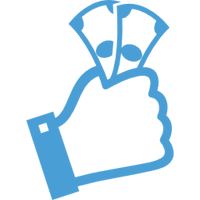 The online bookie provides betting history on every player account, where users can review their wagers and improve their play. The security is good and reliable. Leon Bets employs SSL-encryption for every sensitive data transition. The certificate is unknown, but it’s verified by COMODO CA Limited. Clients can rest assured that their connection is secured and well-protected. The company lacks to supply information about any regulative organisation, which handle the disputes. According to Leon Bets’ website, there are no fair gaming body memberships associated to the online bookie. The customer support service is not as effective as it should be. There is no telephone line or live chat to handle urgent problems. Leon Bet provides only email support for its clients, which is relatively fast compared to other online betting enterprises. The money transfer options available are satisfying. Deposits can be made via card, e-wallets, prepaid cards and instant banking services. There are no charges on transactions from Leon Bets. Withdrawals are completed through cards and e-wallets only. The supported payment options are credit and debit cards and other famous methods. As a traditional European bookmaker, Leon Bets supports a good number of currencies. The clients are free to deposit and withdraw money. The currencies are available for all payment methods on the user account. Leon Bets choose a limited number of paying services with the purpose to ensure the best conditions for its customers. All transactions in and out of the player’s account are instant. 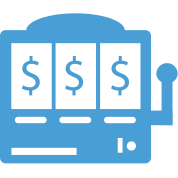 The online bookie offers an excellent deposit program with the possibility of increased bonus amount. The standard offer for newcomers is 100% welcoming bonus with maximum of $100. However, there is special offer for those who use Skrill as a payment method. Their bonus is increased to 150% and max of 150$. This promotion is tightly linked to Leon Bets’ loyalty program, which involves accumulation of leons (the bookie special point system). The deposit bonus is obtainable once a player reach 2500 Leons (or 3750 for Skrill users). The VIP bonus program is a great way for regular gamblers to win great prizes from their playing activity. Betting on any sport rewards points for the user, which can be spent later on various amazing gifts, such as tablets, iPhones, cameras, smartphones, consoles or even laptops.